July 23rd found us headed to Jasper NP. We got off to a rough start because one of us had lost the camper keys. Finally left without them, using the spare set. We stopped in Hinton for a fuel and grocery break, and went into price shock when Charlie picked up a six-pack of beer and was charged $15.00 for it. That’s right, $2.50 a bottle!!! Charlie found the missing keys while I was in the grocery store, so we were quite relieved. We entered Jasper at 2:30 pm and headed for Whistlers Campground in the park for the next 5 nights. Our site was private, wooded, and had resident momma and baby elk in it most afternoons. 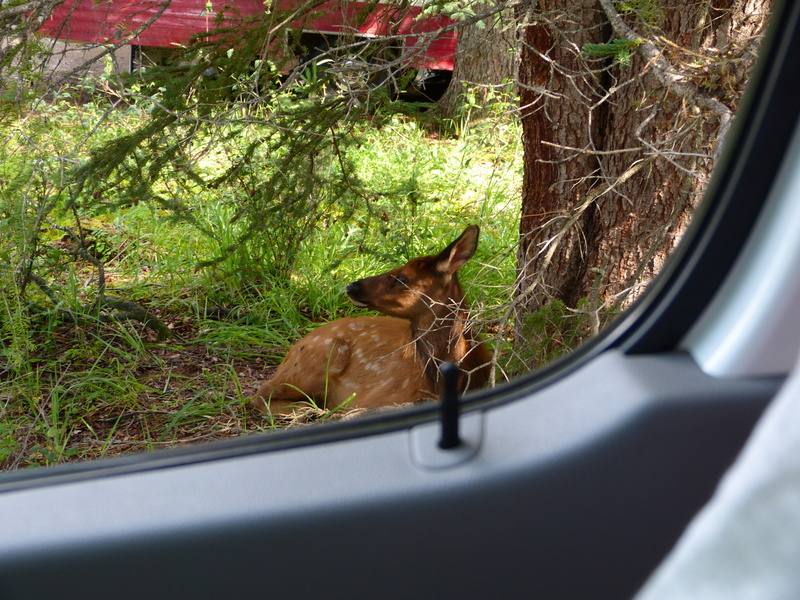 Elk calf resting right outside our camper at Whistler Campground, Jasper NP. 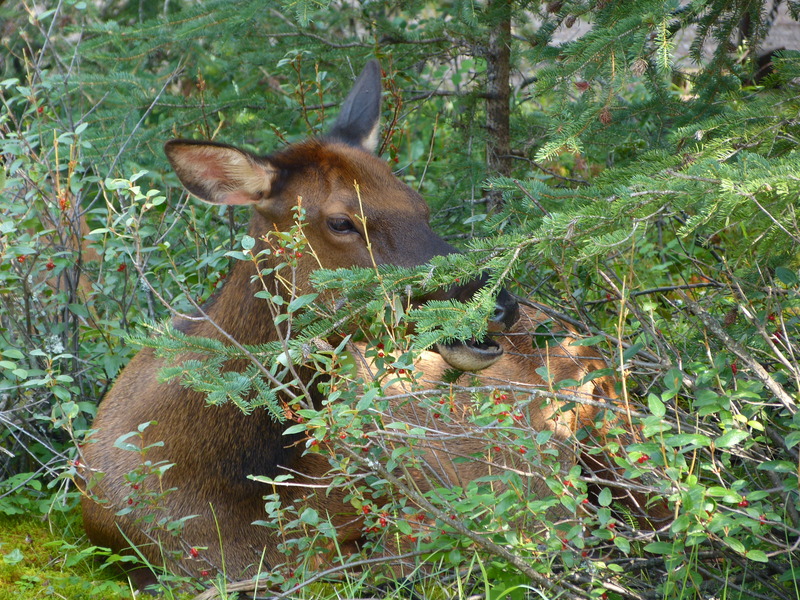 Elk sleeping next to our campsite at Whistler in Jasper. This entry was posted in camping, Canada, National Parks and tagged Jasper NP on June 22, 2013 by Ramblin' Rose.